Click here to access Protective Enclosures Company's helpful installation instructions. The TV Shield PRO Lite Touch is a secure and durable touch screen digital display and TV enclosure that is made in the USA. We have combined The TV Shield PRO Lite enclosure and our IR touch frame to offer the best solution for touch screen needs. 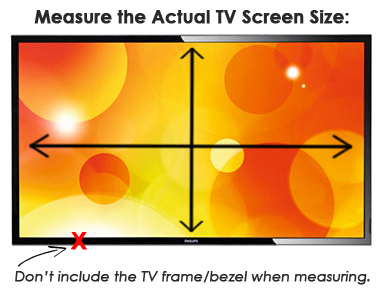 With The TV Shield PRO Lite Touch you can use any standard off the shelf flat screen TV, completely enclose it and turn it into a protected interactive touch screen. 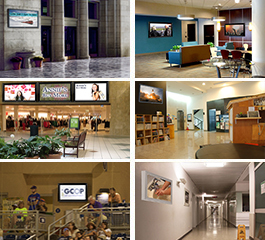 Featuring extremely tough metal housing that encases the TV and a high strength shatterproof ultra-clear Lexan® polycarbonate front shield, this innovative interactive display solution eliminates the risk of having to replace an expensive touch screen TV or interactive digital signage display if the screen breaks. Below we have included details about both The TV Shield PRO Lite enclosure and The TV Shield PRO Lite IR touch frame. 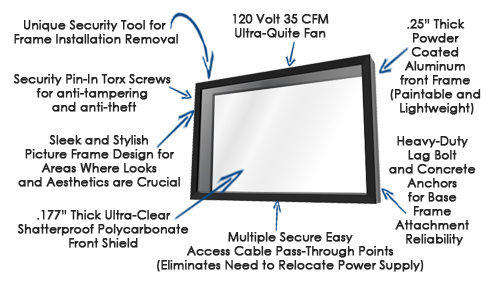 The TV Shield PRO Lite ® is a sleek cost effective protective touch screen TV enclosure built using lightweight aluminum for ultimate strength and durability. Perfect for indoor TV protection or outdoor applications that need strong screen defense rather than full weather-proofing, this cover is ideal in high traffic buildings, institutional environments, schools, hospitals and more. 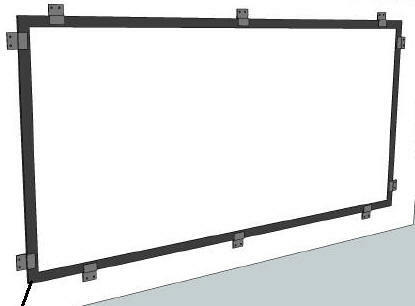 The unit’s base frame bolts to the wall using heavy duty mounting hardware, while the enclosure attaches to the base frame using proprietary "Maximum Security™" screw assembly system for the ultimate defense against removal from the wall (this is an open back design). The TV Shield PRO Lite features .177 thick ultra-clear shatterproof polycarbonate for the front shield and a .25 thick aluminum front frame. This protective TV and digital display case will hold up in the roughest and toughest environments including federal correctional institutions. Our customers favor The TV Shield PRO Lite TV defense solution over other TV cabinets due to its sleek picture frame design, larger size options than other TV protection solutions, easy install and maintenance functionality, durability, and security. 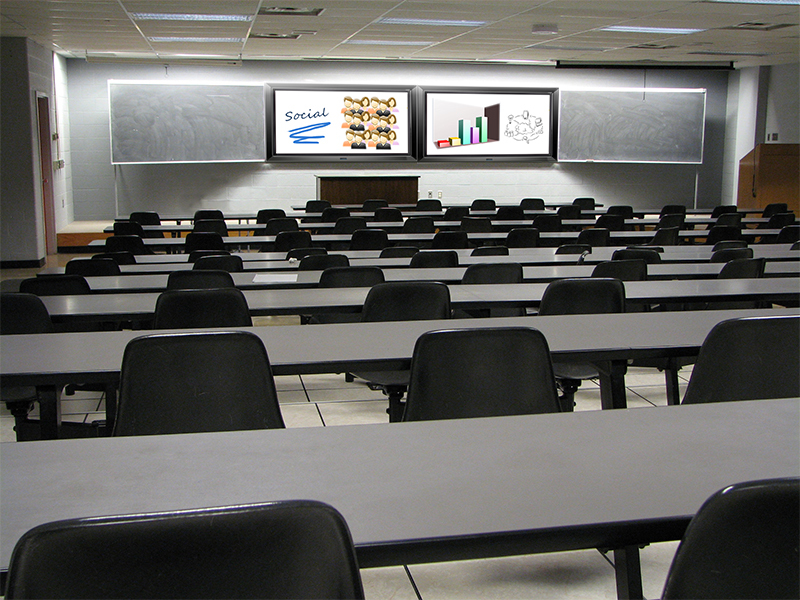 The TV Shield PRO Lite LCD TV cabinet and digital signage case is the ideal TV protection solution to defend a TV against hitting, punching, tampering, thrown objects, vandalism and theft in locations such as group homes, schools, airports, hospitals, psychiatric institutions, jails, prisons and any other high traffic areas. Our touch frame can turn almost any computer imaged surface into a touch interactive device. 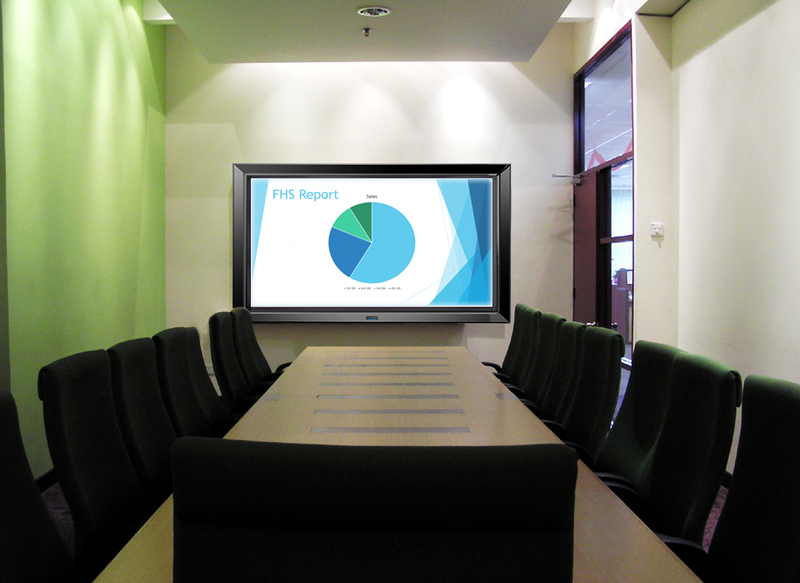 Examples of "computer imaged surface" include flat panel displays (LCD, LED, plasma), all-in-one PCs, projection screens, video walls, whiteboards or white walls - up to 200" diagonally. It is compatible with Windows, Mac, Linux and Android. Embedded IR sensors inside the touch frame emit and receive invisible infrared light beams in front of the computer imaged surface. 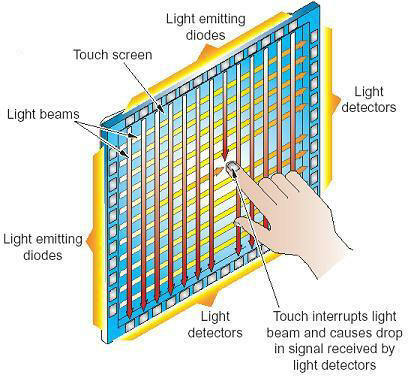 Whenever your finger or an object breaks through this light grid, it is seen as a touch point which is same as a left mouse click. Your touch can also perform all the standard tablet gestures and multi touch functions. Embedded IR sensors form invisible light grid in front of the display. Windows XP, Vista, 7, 8, Mac & Linux. 2-10 for Win 7 or 8., 1-4 for Mac. Available up to 200+" diagonal. No tooling charge, no minimum order. By Velcro or double sided tape or custom mount. Yes. Adjust the angle to reduce the glare. May be suitable. Please check the dimensions.